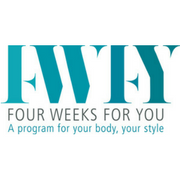 Four Weeks For You is a new, one of a kind, interactive online program. It only takes 10 minutes a day, perfect for busy Mum’s. Using videos, tutorials and tasks, you get the inside knowledge and expert advice from a top stylist, makeup artist and hairdresser. A private Facebook group, which only members of FWFY can access, enables direct interaction to give you direct personal feedback and conformation of the colours to wear, face shape and more. As this program is designed with busy women in mind, it’s easy, fun, video based and a great way to access services from your couch for so much less than you would normally pay. You get a free FWFY starter pack when you sign up with wraps and tools to help you find out about you and your style, all for $89!